How to watch Arrow: Season 5: Honor Thy Fathers on Netflix Denmark! Yes, Arrow: Season 5: Honor Thy Fathers is now available on Danish Netflix. It arrived for online streaming on March 12, 2018. We'll keep checking Netflix Denmark for Arrow: Season 5: Honor Thy Fathers, and this page will be updated with any changes. 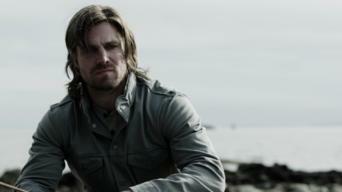 The hunt for Adrian Chase leads Team Arrow to a confrontation with Sampson. A macabre delivery at city hall sends Oliver a disturbing message.